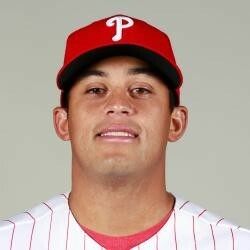 Mario Hollands has been getting hit hard this spring and has an ERA of 11.81 coming into today's game. Hollands felt discomfort pitching in Friday's game and will undergo an MRI today on his left elbow. Hollands was shut down last September with a Grade 2 flexor strain. The severity of the injury could not only affect Hollands' status, but the status of the entire bullpen. Should Hollands be shut down for extended period of time, it will pave way for another pitcher battling for a spot to make the Opening Day roster. Andy Oliver, Rule 5 Draft pick from the Pirates, is one of those pitchers. He's had an excellent spring and could find his way on the Opening Day roster.